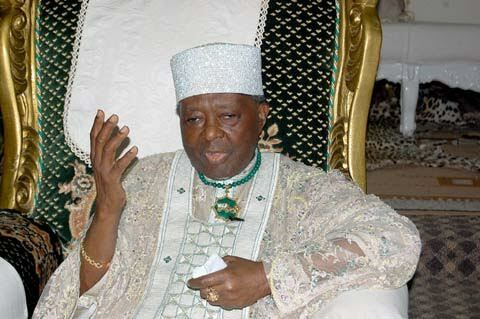 The Ooni of Ife, Oba Okunade Sijuwade, has died at the age of 85 in a London hospital. The monarch was said to have died around 5pm on Tuesday (today). Relevant officials, who spoke to our correspondent on Tuesday night, however, refused to confirm the monarch’s death, saying they did not want to be quoted on the death of the foremost traditional ruler, who was said to have passed away on Tuesday. “I have heard but please, I don’t want to be quoted on this. People have been calling but nothing has been made public. You see, another person is calling me from London,” the source said before picking the other call. Another source, who spoke on condition of anonymity to our correspondent, explained that Oba Sijuwade was flown out of the country from Ibadan about five days ago in an unconscious state. “Kabiyesi was flown out of the country about five days ago in an air ambulance. He was unconscious; his situation was critical. “As a matter of fact, some people have been weeping in the palace since the weekend because of his situation when he was flown out from Ibadan in that air ambulance,” he said. Oba Sijuwade became the fiftieth traditional ruler or Ife in 1980. Just last week, the Ooni resolved the industrial dispute between the management of the Obafemi Awolowo University and some staff of the institution, who had embarked on an indefinite strike.